Last night Boston Chinatown Blog went to Harvard for a performance of Kristina Wong's The Wong Street Journal. A quiet but busy Asian woman sits onstage while audience enters the house and find their seats. She sits glancing with concerted looks in between stitches, out at the world from over her sewing machine. Behind her is an almost entirely plush fabric sewn set. Names of political icons like MLK, Malala, Yuri, and Davis rest next to their numbers in stock value. The show begins and the next thing we know, Kristina Wong is in the HOUSE. She move onstage and delivers the best sermon of a performance I've received yet about being an Asian woman. She rapped and made piercing shots at the lessons learned on her mission to save the world through social media rants and a trip to Uganda. 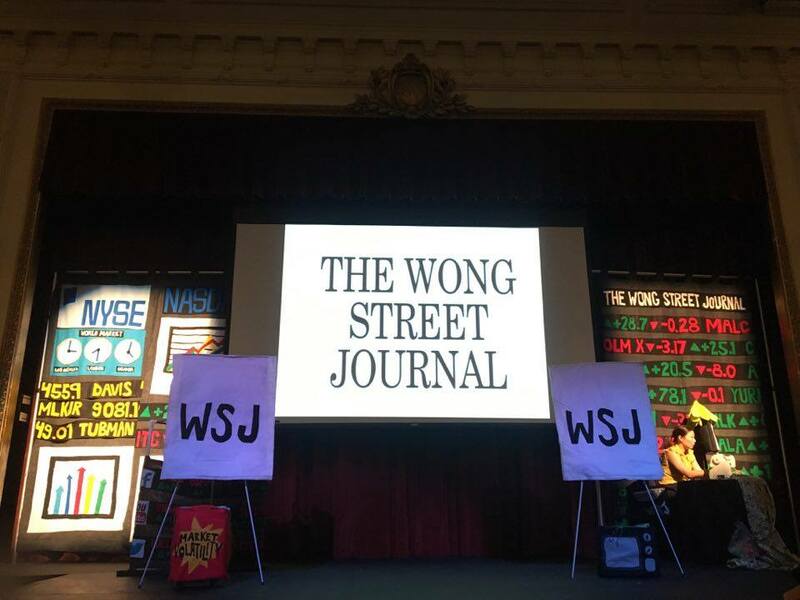 From twerking and throwing a hundred cut-out plush hashtags into the audience while yelling about subjects like transphobia, to having moments of silence focusing in on the dark reality of racism and being woke, Wong gave a real one woman show. And it was f***ing AWESOME. She nails every single beat from the explanation of what white privilege actually means, to what we do as people of color that can both damage the cause despite our own good intentions. 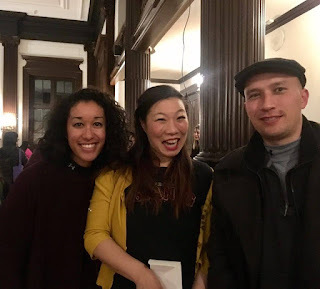 Her execution on inter-sectional racism and experience as being white passing in another country was flawless and encouraged a closer lens for us all. (Referring to the performance) "Do you prefer the style of doing this kind of Chinese cross-talk delivery that we typically see in shows like this?" "Yeah, I'm not familiar with that. I don't know what that is." and with that, she hammered in a possible last point and moved to the next question. I had the pleasure of meeting with her afterwards and bought the DVD (Adam- I owe you) and fanned myself, blushing, as she called me her fellow Toisan sister! Not only did she wow me with such down to earth and meaningful messages for me to learn from/internalize/shout in solidarity on rooftops, she also got me thinking that perhaps I should get back to my own theater roots.